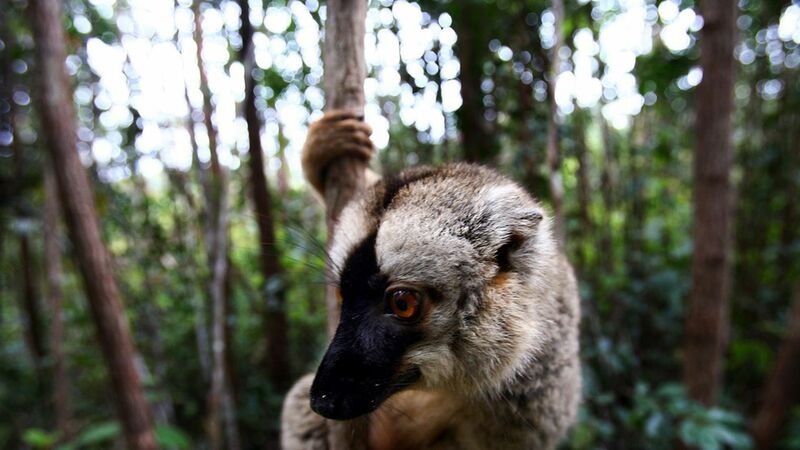 A species of critically endangered lemur in Madagascar may be at even more risk if climate change continues to affect its bamboo diet, according to Science News. What's happening: While other lemurs species have a more diverse diet, the greater bamboo lemur eats bamboo alone even throughout the dry season, when plants offer only "culm, the tough, old, yellowing stems poor in nutrients." The researchers project the dry seasons will last longer than normal in the future because of climate change, which could leave the lemurs without a nutritional food source for longer periods. Why it matters: The greater bamboo lemur (Prolemur simus) has neared extinction once before. Right now, the lemur species is only found in places with the shortest dry season, researchers wrote in Current Biology.